BACK BY POPULAR DEMAND FOR 2019! Available For 42 More Days! Your ticket includes food and one drink ticket. Your ticket includes food and two drink tickets, plus raffle tickets. The popular Sips for Snips is back for 2019! 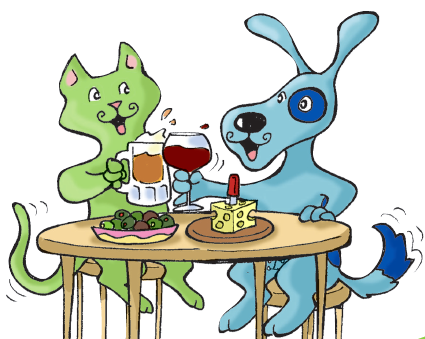 This year, we will be sipping local craft beer at BottleHouse Brewery and Meadery on Lee Road in Cleveland Heights while raising money for PetFix Northeast Ohio's affordable spay and neuter programs. Event-goers will have an opportunity to win great raffle prizes and enjoy superb vegan food with their drink of choice. Lots of free parking is available. Well-behaved pooches are also welcome to join in on the fun! PetFix is a 501c3 and receives no local, state or federal funding. We can only continue this lifesaving work through the generosity of our donors. Thank you!